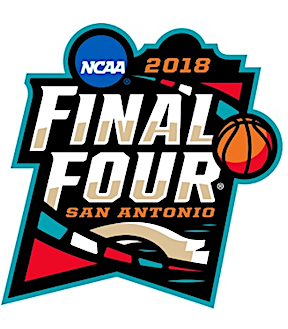 There are now just FOUR teams left in the NCAA tournament and the field will be CUT in half later TONIGHT at the Alamodome in San Antonio. Michigan, Loyola-Chicago, Kansas AND Villanova will take the court in a few hours to get ONE step closer to CUTTING down the nets on Monday Night. In the FIRST game tonight, 3 seed Michigan will be taking on the CINDERELLA 11 seed Loyola-Chicago. Michigan has looked like the SECOND best team in the country since the start of the Big Ten Tournament and they are the FAVORITE in this game tonight. The last time Wolverines got to the National Championship game was in 2013 when they LOST to Louisville, but the National Championship was VACATED from Louisville earlier this year, so they LOST to AIR in that game. Loyola-Chicago continued their MAGICAL run into the Final Four and are looking to become the FIRST eleven seed to win the National Championship. They have looked DOMINANT in all of their games leading up to the Final Four and they are supported OFF the court by their chaplain, Sister Jean, who is a NINETY-EIGHT year old Nun. Loyola-Chicago last appeared in the National Championship in 1963, when they BEAT Cincinnati to WIN the whole thing. In the other game of the night, we see a match up of TWO Blue Bloods of College Basketball in Villanova and Kansas. BOTH teams have won the National Championship in the last TEN years. Kansas had to go to OVERTIME to beat Duke in the Elite Eight and they looked IMPRESSIVE in that overtime period to get to San Antonio. The last time, the Final Four took place in San Antonio, Kansas beat Memphis to WIN the National Championship in 2008. Villanova has been the BEST team in the country throughout the season and they are the FAVORITE to win the National Championship right now. Unlike other TOP teams in College Basketball, Villanova’s BEST players are Juniors and Seniors instead of Freshmen and those UPPERCLASSMEN are looking to win their SECOND National Championship in THREE years. Villanova beat North Carolina to win the National Championship in 2016. The LAST day of the Elite Eight was my BEST day of picking games this whole Tournament, as I picked BOTH games correctly. I am now .500 on the tournament and I am HOPING to finish the Tourney with a WINNING record in my picks. Well there you have it, it will be Villanova taking on Michigan in the National Championship on Monday Night. Come back here on Monday to see my pick for the game.